What regulations has the Nod Pod been tested to? The Nod Pod blanket has been tested using UN Regulations 44.04 and 129.00 (often referred to as the i-size regulation) test conditions. The requirements of Regulation 44.04 or 129.00 were met in all tests. Why is this testing so important? 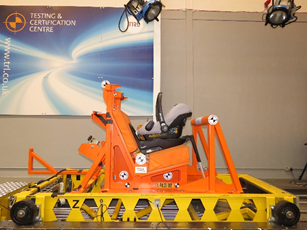 According to the UK Department of Transport, between 60% and 80% of all car seats are used incorrectly, with harness tension being the most common problem. This is a particular issue in winter as it is hard to tell whether you have a good harness fit if your child is wearing a thick coat or snowsuit. For a car seat harness to work properly, the straps need to be tightly strapped against your child's chest. When a child wears a snowsuit or thick coat, the straps are usually adjusted to the thickness of the coat, not the chest. If you had to stop suddenly or the car was in an accident, the coat could compress, making the straps too loose which would reduce the level of protection for the child. 1. Put the coat/snowsuit on your child. 2. Strap your child into the car seat and tighten to ensure a snug fit. 3. Remove your child from the car seat - leaving the straps exactly as they are. 4. Take the coat/snowsuit off your child. 5. Strap your child back into the seat without adjusting the straps. 6. Do the two finger test. If you can fit more than two fingers underneath the harness at your child's shoulder bone, the harness tension needs to be tightened or you should avoid using the coat in the car seat. If you do choose to strap your child into their car seat wearing a coat, you must ensure that the straps are pulled very tight for them to be safe. This will have an impact on the child's comfort and freedom of movement. 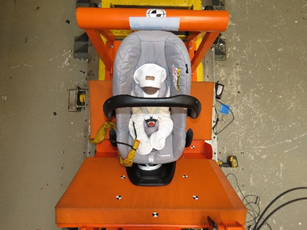 This normally results in parents loosening the straps, which stops complaints from the child, but means they're no longer securely strapped in. Coats in car seats can also cause overheating. For babies, unable to tell you what's wrong, this can be dangerous. It is safer to use something that can be easily opened when the temperature in the car rises, to regulate baby's temperature. The harness release button is red in all car seats in the UK. This is so that it is easily visible in case the child needs to be removed quickly in an emergency. It is important that the product you use in the car seat must allow easy access to the harness release button. The more zips, clips or Velcro involved, the more difficult it is. There are no fastenings on the Nod Pod, the flaps simply wrap over baby and therefore can be easily opened.